Collaborative mural done with Josh Falk, Steve Holding and Kenji Nakayama for a design firms lobby in Boston. A recent commission by Josh Falk, Steve Holding, and myself (special guest Kenji Nakayama on the pinstriping) for an interactive agency in downtown Boston. 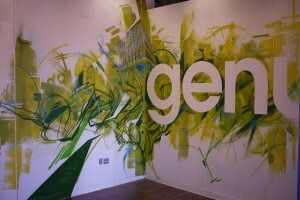 March 27, 2011 | Filed under commissions, murals.